Panim Group is known as Synonym for Diamond Briolettes & Beads. 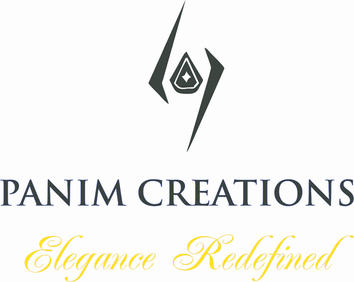 The Company was established in 1998 by Mr.Dholiya, the visionary and creative entrepreneur who spearheaded the firm into the Diamond industry to cater Global Diamond markets with Unique Diamond Shapes such as Diamond Beads, Diamond Briolettes, Taviz Cut Diamonds, and Special Diamond Chains of Double-Sided Briolette Diamonds. The Diamond Briolettes are finely cut with triangular facets in a teardrop shape to match elegantly with fine quality Emerald. It is refined with exquisite craftsmanship. Edwardian Long Diamond Chandelier Earrings set with shimmering Diamond Briolettes & Round Diamonds. We also make exceptional pairs of Diamond Briolettes above 3cts in White & Fancy Colors. Diamond Beads add sparkle and elegance to any jewellery with their multifaceted round diamond shape. They are perfectly crafted and are polished for maximum luster to look alike in a graduation Necklace. Suspending numerous taviz-cut diamonds, to a necklace set with faceted diamond beads also known as Triangular Briolette or Amulet (Taviz) cut,it is worn by people as a symbol of faith. Its appearance began to spread after Moghul Era.